It blows my mind that I once thought fish was nasty. I could eat fish for breakfast, lunch, and dinner nowadays. Red snapper, catfish, flounder, salmon, tilapia, halibut, tuna. Whenever I’m in the mood to eat something light and extra healthy that will still fill my belly, I turn to fish. 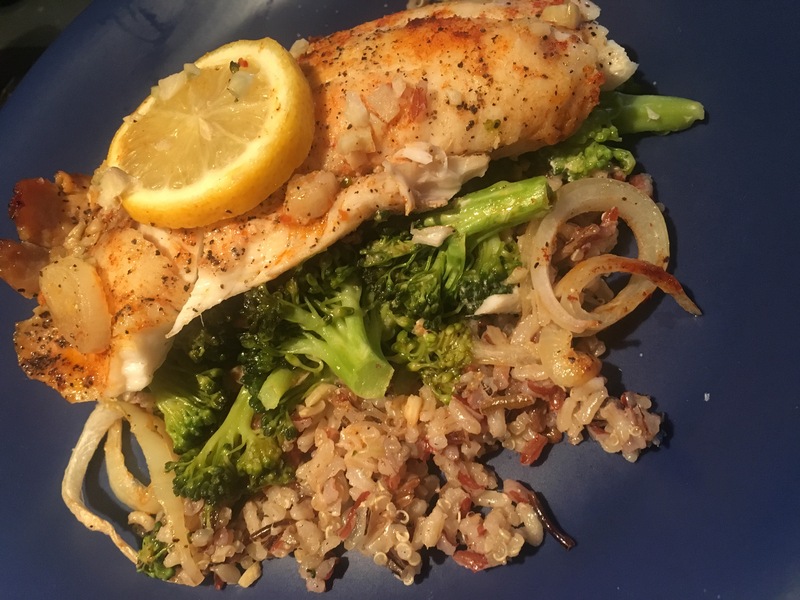 Today I’ve made a simple tilapia and broccoli bake that leaves you with ZERO dishes. Yes, I said zero dishes. 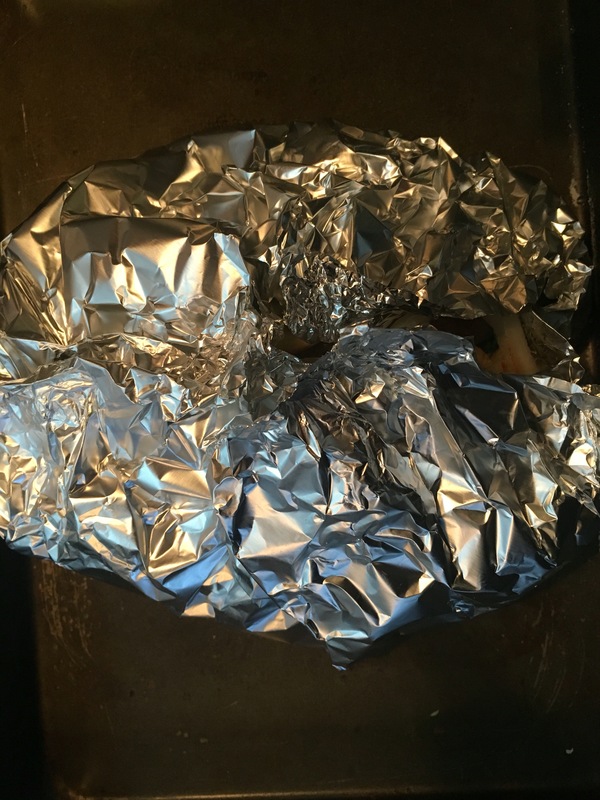 To start, I laid out a layer of aluminum foil and put my chopped broccoli down in an even layer. I drizzled the broccoli with about a teaspoon of olive oil and some salt and pepper to taste. I then seasoned both sides of my fish (paprika, salt, pepper and garlic powder) right over my bed of broccoli. Next I drizzled a little bit of olive oil over both fish filets. About a teaspoon will do. 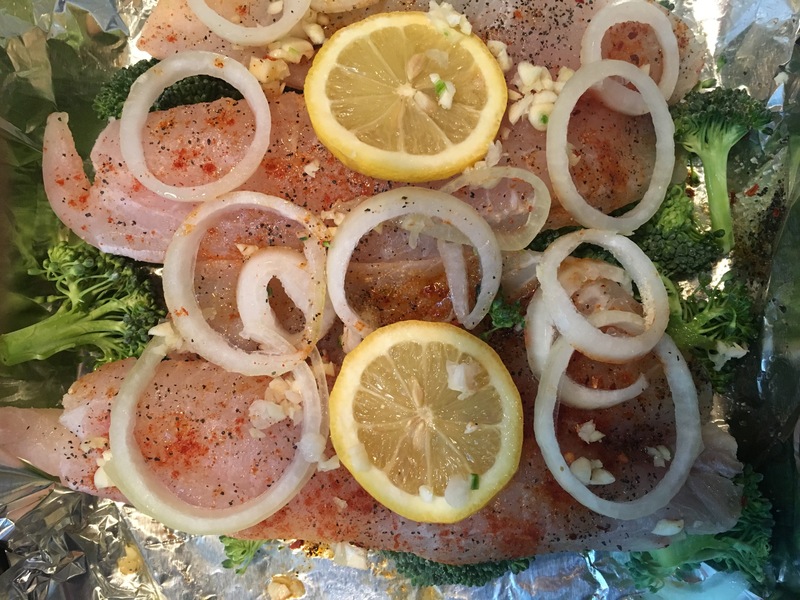 I then closed up the edges of the foil so it made a little pouch around the fish and broccoli to steam them and get all those flavors aqcuainted. I popped it in a baking dish to catch any juices that may have leaked out and that’s it! Bake for 25-30 minutes at 375 degrees and that’s it. Once it’s done baking, let it sit for about 5 minutes to really soak up all the juices. I chose to serve it over a healthy mix of couscous, brown rice and wild rice that I cooked separately but feel free to sub in any alternative.